Freiburg were forced to make a last-minute reshuffle prior to their friendly match against Bundesliga 2 side Kaiserslautern on Sunday after the refereeing team failed to arrive on time. Christian Streich's charges are currently in Sotogrande, Spain for their winter training camp and arranged the warm-up fixture against the 18th-placed second division outfit, who are also training nearby. However, kick-off had to be delayed by 15 minutes after the Spanish officials who were scheduled to take charge of the match were unable to arrive after the car they were travelling in broke down en route. "The match against Freiburg is underway after a delayed start. We're playing even without the official refereeing team." 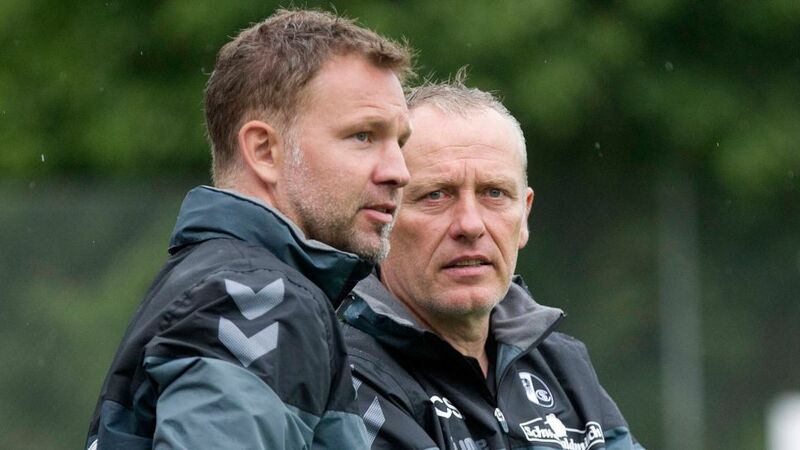 Eager for the show to go on, Freiburg assistant coach Lars Voßler, 41, stepped in to fill the void, while Ersan Parlatan, who is currently training to be a coach at Freiburg, and Kaiserslautern's third-choice goalkeeper Lennart Grimm helped out as assistant referees. A tongue-in-cheek comment on the official Freiburg website stated that: "the refereeing team performed their duties perfectly. Voßler made up for his slight shortcomings in terms of running with a superb eye for the action." Perhaps unsurprisingly, Freiburg went on to win the game 2-0 thanks to goals from Marco Terrazzino and Lucas Höler. Streich's charges face Eintracht Frankfurt away on Saturday 13 January in their first Bundesliga game of 2018. Click here for more Freiburg news and features!